The Occupational Safety and Health Administration, or OSHA, is a national agency dedicated to keeping employees — and employers — safe. There are many national rules about what employees and employers can and cannot do, safety standards and other regulations that must be met. While these standards are universal, some things are left to the state. This includes how to handle violations. In California, rule violations are handled by both the national OSHA body and the state. What makes the state unique is how it handles workers’ compensation. Under California law, once workers’ compensation has been figured out, employees cannot sue their employers for further payout. However, there may be some workarounds that will help you get more money for your injuries. The Ernst Law Group can help you utilize these and get the compensation you truly deserve. There is at fatal injury to one or more employees. Inpatient hospitalization of at least 3 employees. The OSHA investigation is designed to evaluate the safety standards and procedures of the employer. The employer is being examined to see if they had any violations, which will then be cited. 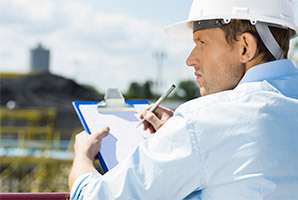 The OSHA investigators are only really interested in the employer and whether or not the employer did something to increase the risk of harm to their employees. If violations are found by the investigation, OSHA will issue a fine to the employer. However, if an employer is found to be at fault, there are still strict regulations regarding paying out compensation. However, while you cannot sue your employer, you may be able to sue a third party. If a corporation or other entity is listed in the OSHA report, they may be liable for paying greater compensation to you. If so, you are entitled to a workers compensation claim. The problem is that workers’ compensation does not provide enough compensation if you’re seriously injured. Workers’ compensation was gutted by the California government nearly a decade ago. You cannot live on the amount of compensation you receive anymore. If you are seriously injured, and need financial compensation that can care for you for the rest of your life. A case against another responsible party is the only viable option. If other corporations or individuals contributed or caused your serious injury, you can bring a lawsuit against them. Because of this, the best option for someone who is seriously hurt, or is the family of someone who was killed, is to file a lawsuit against the other responsible parties other than the employer. In general, large workers’ compensation cases tend to always have some type of OSHA investigation. In addition, wrongful death cases will sometimes have an OSHA investigation. We want to help those who have been caught up in these kinds of claims. More often than not, especially in a situation involving wrongful death, the workers’ compensation payout is simply not enough. That’s where we come in. There are many different reasons a corporation may be listed on an OSHA report. If faulty machinery or other equipment caused your accident, they could be held liable. In addition, if your direct employer falls under an umbrella corporation, and said corporation put you in a dangerous situation, they may also be listed on the report. Of course, there are any number of reasons why a person may be listed on the report, as long as they contributed to your accident. 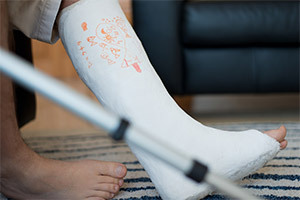 If you’ve been put out of work because of an injury, and your workers’ compensation isn’t covering the bills, you may have a case. Contact the Ernst Law Group today. 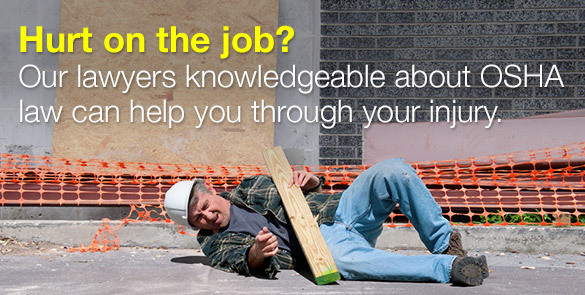 Our firm specializes in workplace injury cases, representing clients for 40 years. Don’t wait; the statute of limitations to file a claim in California is just a year. During your FREE initial consultation, we will review your case, including the OSHA investigation, to determine if another party may be held liable for your injury. Call now.